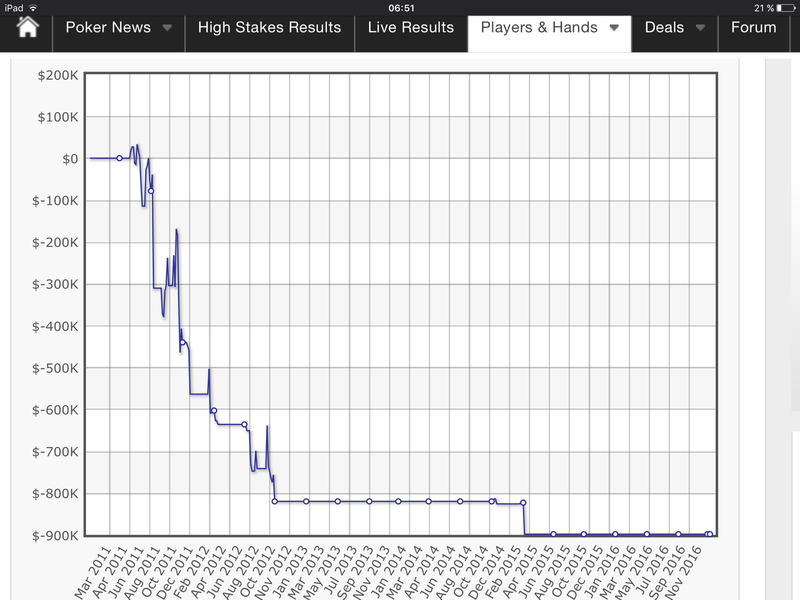 Read this review from HighStakesdb for Romain Arnaud and then check his graph. The press and players highlight wins not losses, only 5% win at poker the same percentage for winners in all aspects of life. Those that win do it through hard work not the Motzart myth. Part of the new wave of highly aggressive and highly successful French pro’s Romain “moirhums” Arnaud plays regularly at PokerStars in the highstakes PLO and NLHE games. Adept at both ring games and heads up play moirhums began playing poker in early 2007 playing NL10. He quickly realised that he had a talent at the game and by mid 2007 had built a roll in excess of $10,000 and took a shot at NL1000. Since then he has never looked back and can be seen regularly playing stakes as high as $100/$200 PLO against the best in the world.